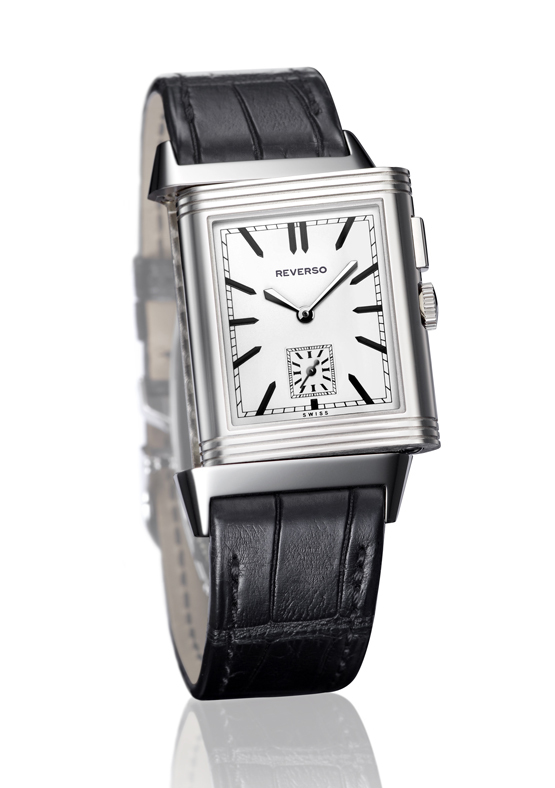 Following the release in 2011 of the Grande Reverso Ultra Thin 1931 to celebrate the 80th anniversary of the Reverso, this year - during the Salon International de l'Haute Horlogerie in Geneva - Jaeger-LeCoultre presented the Grande Reverso Ultra Thin Duoface. 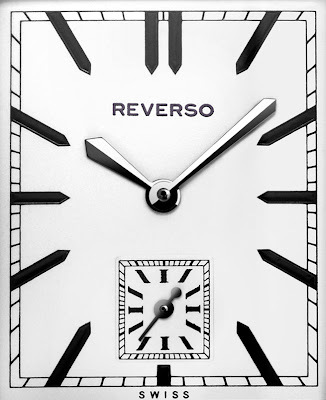 The first face of the stainless steel version offers a silver-toned dial with baton-type hour-markers swept over by black dagger-shaped hands. 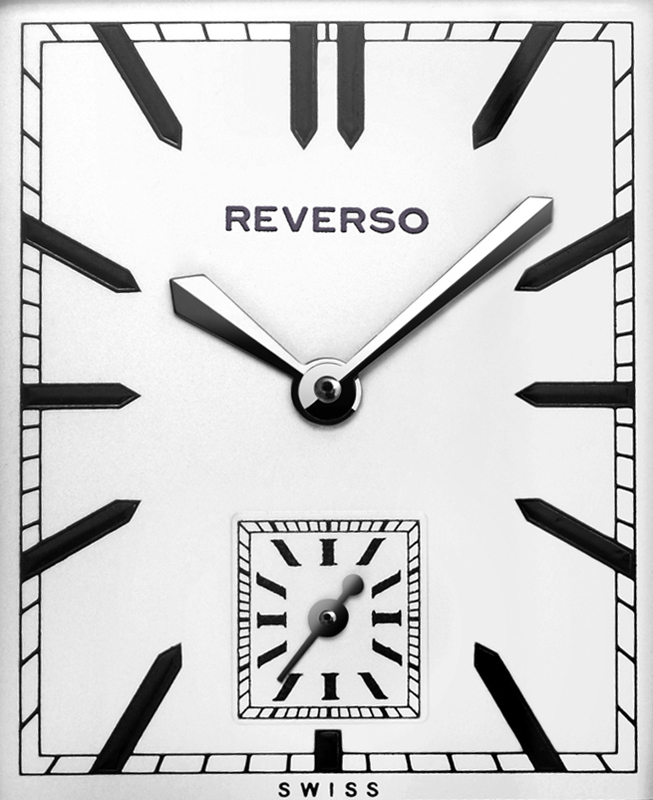 The REVERSO logo reflects the design used on the first watch with a swivel case introduced in 1931. The second black dial, featuring a “Clous de Paris” hobnail guilloché motif and displaying a main chapter ring with 12 subdivisions, displays the second time zone, while the 24-hour indication appears below in the form of a circle bearing the words “NIGHT” on the left and “DAY” on the right. A new push-piece, seamlessly integrated within the side of the case, enable comfortable adjustment of the second time zone in one-hour increments. The total thickness is indeed a mere 9.14 millimetres. The mechanical manually-wound movement, Jaeger-LeCoultre Calibre 854/1, comprises 180 parts and its balance oscillates at a frequency of 21,600 vibrations per hour – while measuring just 3.80 thick and incorporating the latest results of Jaeger-LeCoultre’s research in terms of precision and reliability. 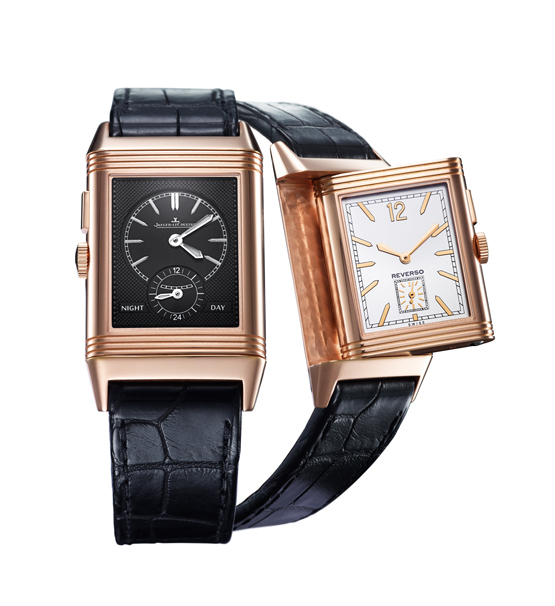 The Grande Reverso Ultra Thin Duoface comes in stainless steel or 18-carat pink. 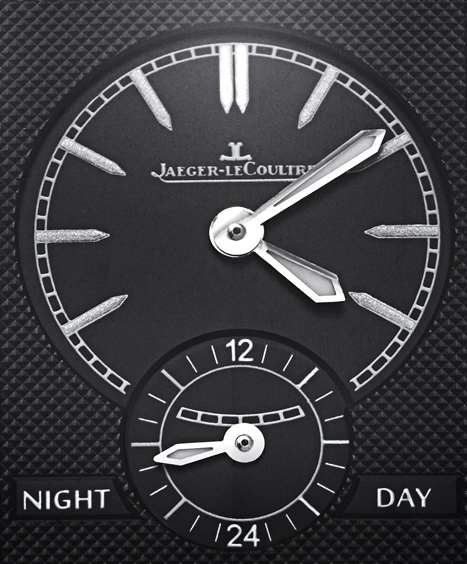 The two versions are teamed with a black alligator leather strap complete with a buckle matching the case. It is also available the Grande Reverso Ultra Thin Duoface Bleu, a boutique version - ref. 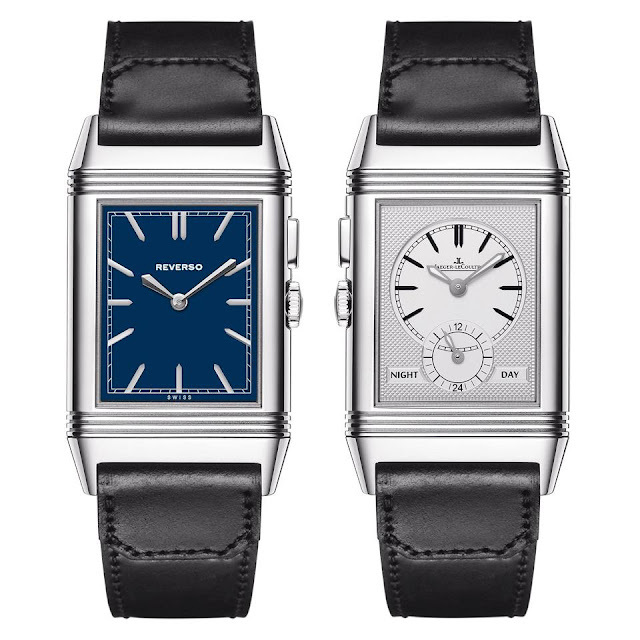 378858J - which showcases the blue dial of the historic model and puts even more emphasis on the Reverso's links with the world of polo. It is equipped with a strap created by Fagliano, the renowned Argentinian workshop which is particularly known for its hand-made polo boots.